It’s SUMMER and everyone wants to be OUTSIDE. We admit, we have been a little lax on our blog writing during the month of May due to graduation season and the arrival of summer! But we are back and thinking about all the entertaining we want to do this summer. Of course that brought to mind, all of our outdoor projects starting with our PATIO DOOR. Replacing sliding glass doors is a home improvement project that we hear about often, especially when it comes to older homes. Before energy efficiency became a priority, and before technology improved building materials, sliding glass doors were some of the most inefficient aspects of a home. 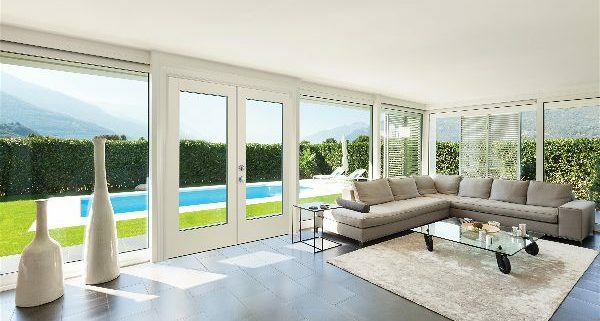 Patio doors that face the wrong direction to hard to open doors – replacing sliding glass doors can beautify your home and improve your home’s energy efficiency resulting in great savings all year. 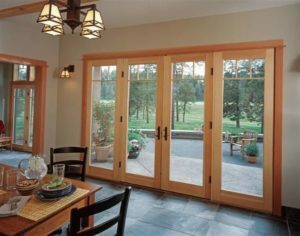 Patio doors, French doors, gliding doors – there are several very attractive, and efficient, patio door options to choose from. However, sliding glass door replacement is not a slam dunk process. Installing doors is tricky business, and you may want to consider hiring a professional. 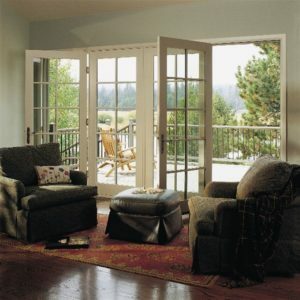 French Doors—Double French doors are beautiful and can be a wonderful addition when replacing sliding glass doors. Do consider the space restrictions. When you want to leave the French doors open, they take up valuable living space. They can also restrict areas where you might otherwise place furniture or even limit a walkthrough area. Also, French doors do not generally have screens, which can be an issue if you like to leave your doors open in the spring, summer or fall months. The cost of French doors can vary depending on size and style. Patio Doors—A great alternative to double French doors are center swing patio doors. They look exactly like two French doors sitting side by side, but one side is fixed and does not open saving valuable wall space. Ask your supplier about screens. Depending upon size and material, center swing patio doors can be less expensive than French doors. Sliding Patio Doors—You may want to consider newer sliding glass doors, or sliding patio doors, for your replacement patio door. 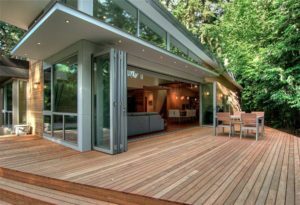 New sliding glass doors are made with the same energy efficient standards and options that are available with the most cutting-edge windows. And if you like sliding doors, but don’t like the cheaper appearance of sliding glass doors, think about replacing your sliding glass doors with sliding “patio doors”, instead. 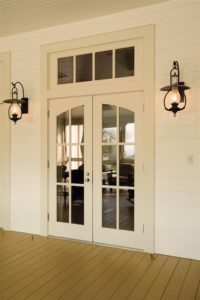 Sliding patio doors, with wood frames, craftsmanship and design possibilities of French and swinging doors, are some of the most beautiful, head turning door designs currently on the market. Vinyl or aluminum gliding patio doors can be a very cost efficient option. This option is typically recommended for a small starter home with a lower price point, or it can also be a quick fix for homeowners who need to sell their home right away and aren’t looking to invest a lot of money into upgrades. Some things to keep in mind with the less-expensive gliding patio door options are the lower quality look and feel, the expansion and contraction from the summer heat, and the tendency to stop working properly after a few years. 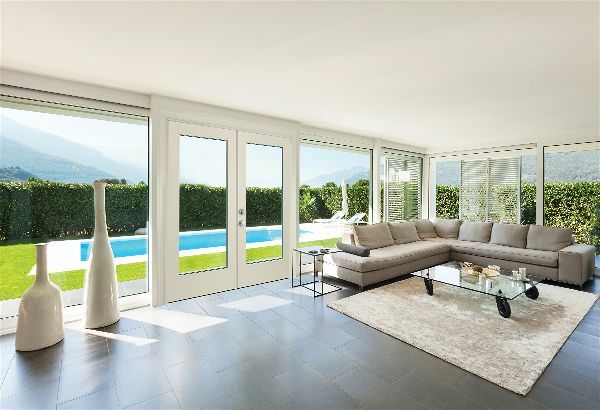 If you are looking for a more permanent solution because you plan to be in your home for many years and are looking for a beautiful side or back point of entry, a gliding patio door by JELD-WEN offers a premium product for your investment. These doors have much better insulation properties, look gorgeous and will operate smoothly not just for a couple years, but for as long as you own the house. You get what you pay for when it comes to patio doors. More expensive doors last longer and function better. 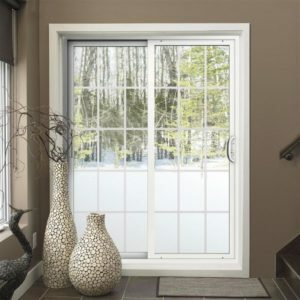 French patio doors are generally a bit more expensive than gliding patio doors. These hinged patio doors have a more traditional, classic look as opposed to the sleek contemporary appearance of the sliding doors. 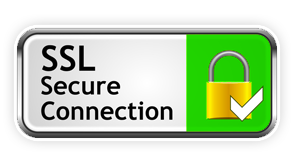 It is best to work with your supplier to get a free quote for your specific needs. Gathering photos, researching brands, knowing what material you want and providing size details will help your supplier provide an accurate quote. Homeowners doing research on replacement patio doors: don’t be fooled by the seemingly low shelf prices on most patio doors that don’t include hardware or installation. The big box stores consider essential items like energy-efficient glass packages, hardware, installation and warranty to be upgrades, and the actual price tag will be much higher than you thought. Also, we highly recommend having a professional contractor or installer put in the patio door, as it is an extremely complicated process with a lot of opportunity for error but little room for it. What’s your preferred style of patio door? Share in comments below! We would love to hear from you. And if you are ready to replace your patio door, please don’t hesitate to call our friendly customer representatives at 636-225-7717 who will help you order your new patio door with ease!